This English language bookshop is bang in the centre of Milan. Situated only minutes away from the Duomo and opposite Parco Sempione, it is in the perfect location. If you feel like escaping the bustle of the city, why not pop in and choose a book, stroll across the road and enjoy a relaxing read on the grass in the park? There is a large selection of books, ranging from fiction to history guides, autobiographies and children’s books. Among the books, you can find pretty notebooks, diaries, calendars and birthday cards. There are also other trinkets on sale, such as stuffed animals, mugs and clocks. In fact the whole of the downstairs is dedicated to rather expensive junk, it looks great, but there’s nothing there that you would actually need. 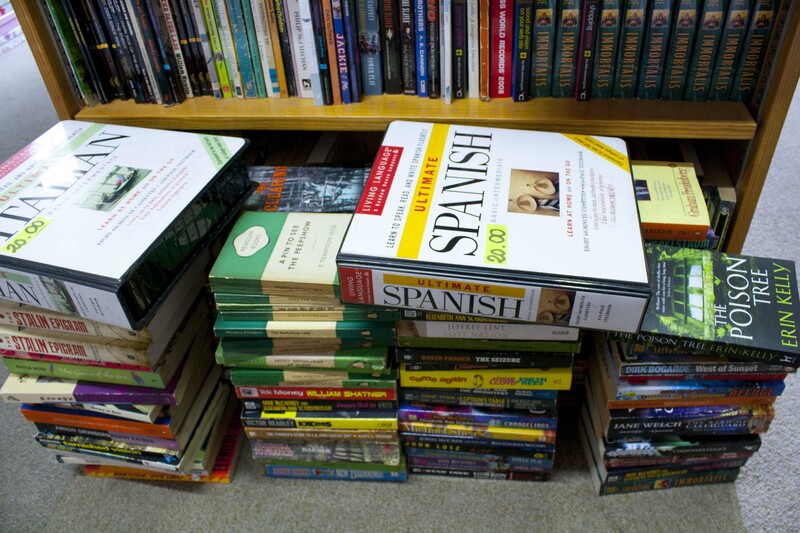 The prices are the standard foreign language book prices that you would find in any city, but one thing about this bookshop that stands out, is the bargain shelf. It is easily missed, unless you trip over the pile that has over flowed on to the floor. Mostly this pile consists of old science fiction or romance novels but every now and again, it’s possible to find a gem. I was lucky enough to find a very tattered copy of Graham Greene’s, Travels with my Aunt a few years ago and a much newer Saturday by Ian McEwan. Prices start from only 1 Euro which beats English prices any day! 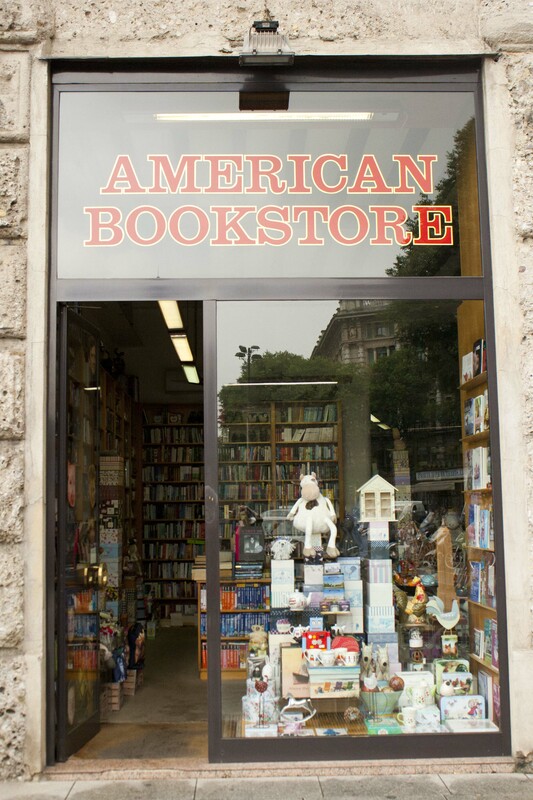 If you would like to visit the American Bookstore in Milan, here is the address: Via Manfredo Camperio, 16, 20123 Milano, Italy. Although, if you can’t find anything in the bargain section, I would recommend taking a look in one of the larger bookshops near the Duomo. They all have English sections and often have cheaper book than the ones found in the American Bookstore.